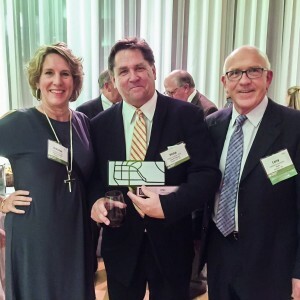 The Triangle chapter of the Urban Land Institute (ULI) held their annual J.W. 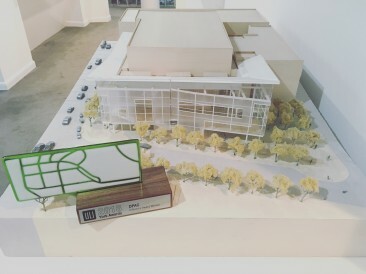 Willie York Awards event last night, and we are honored to shared that Szostak Design was presented with the Influence Award for the Durham Performing Arts Center (DPAC). In August of this year, the Durham Performing Arts Center (DPAC) welcomed its three millionth guest. Since opening in November 2008, the theater has become one of most highly attended venues of its size in the country. It has been listed five times in the top 5 in Pollstar magazine’s annual worldwide theater attendance rankings, and is currently the number 2 ranked theater in the U.S. DPAC has proved a wildly successful investment for the public-private partnership led by Durham’s community leaders that funded its $46M development. Net revenues generated by the building — 40% of which are shared with the City of Durham — rose from $1.3M in 2009 to $5.3M in 2015. According to the Durham Visitor and Convention Bureau, DPAC accounted for a total Durham direct visitor spending in 2014 of $66.3M and an overall annual economic impact exceeding $48M. Ancillary development spurred by DPAC is estimated to total over $300M in the coming decade. Phil Szostak accepted the award on behalf of the project team including (Owner) The City of Durham, (Co-developers with Szostak Design) ACPA and Garfield Traub, (Theater Operator) Nederlander Productions and Professional Facilities Management, (Construction Manager) Skanska, and our intrepid team of consultants including Theatre Consultants Collaborative, Creative Acoustics, Stewart, RK&K, RMF, and Walter Havener of Surface 678, to name a few. We’d like to thank ULI Triangle for this recognition and also thank artist Matt McConnell for the beautiful sculpture that came with the award.